Natural, Walnut Color, Red, Golden etc. UV Lacquer, Oiled, Unfinished etc. 90 mm, 120 mm,125 mm, 145mm etc. 0.6, 1, 2, 3, 4, 6 mm etc. 10, 12, 14, 15,20, 21 mm etc. Smooth, Handscraped, Distressed, Brushed etc. 1. 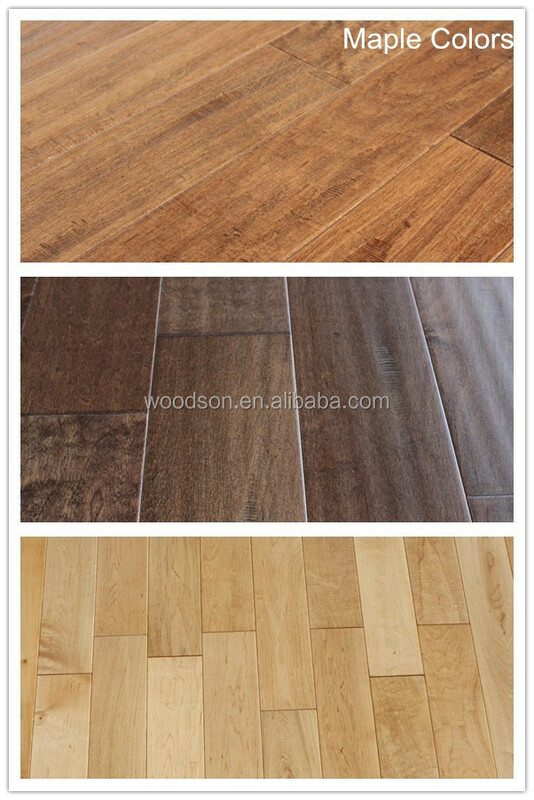 Professional flooring material supplier, suitable for projects to purchase the flooring material at one time. 2. 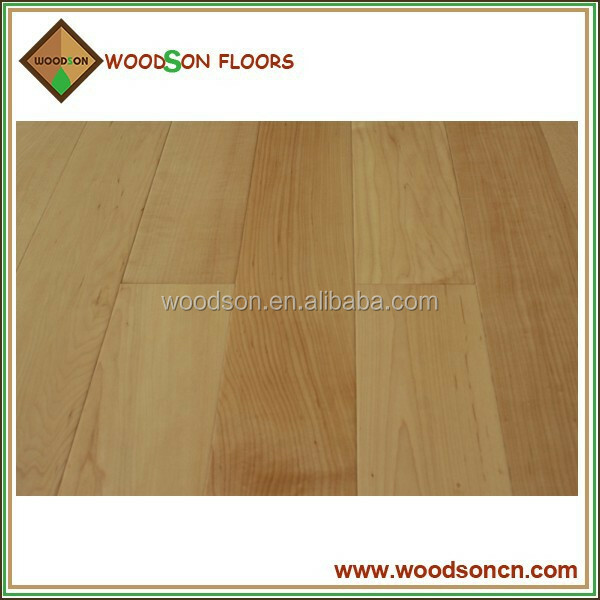 Much experience of flooring souring, long stable relationship with cooperate company. So we always have the good products with competitive price. 3. 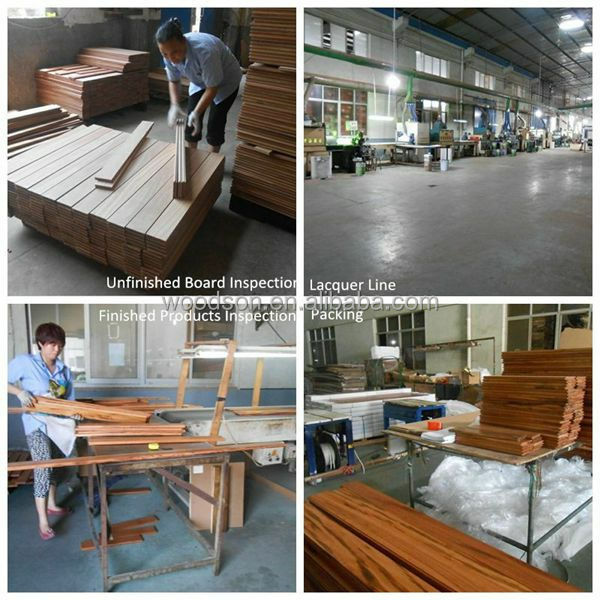 Quality of products can be guaranteed for our QC is always strictly control the products before shipped. 4. Test Report can be sent to the clients before the shipment of products. 5. All the inquires will be handled within 24 hours. 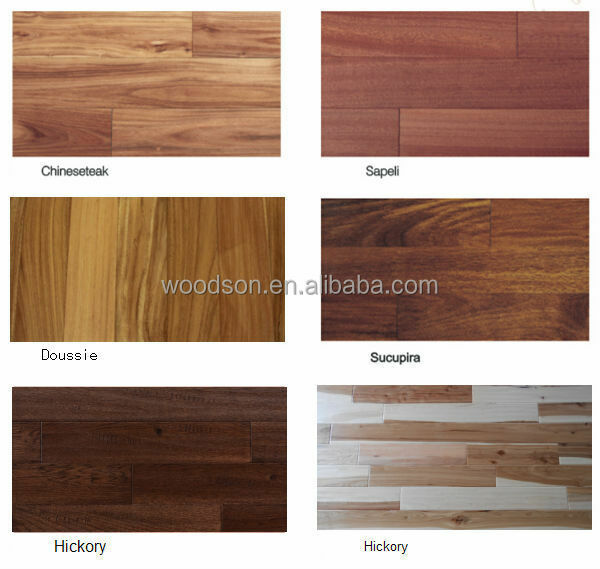 We have stable raw material suppliers overseas, we import high quality Hickory logs from Indiana, New York and Pennsylvania; South American Species come from Brazil, we buy logs and authorize local company to cut to lumber with our specialized QC to control the grade, including Jatoba, Ipe,Tigerwood and Cumaru, etc. Our company has advanced equipments, including original Michael Weinig equipment from Germany, full set of Treffert coating line, we can set proper Moisture Content percentage to meet your requirements in the way of examining the material piece by piece. 1. Q: What's your MOQ? 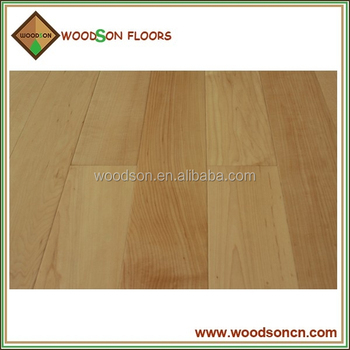 A: For wood flooring, our MOQ is 500 sqm . 2. 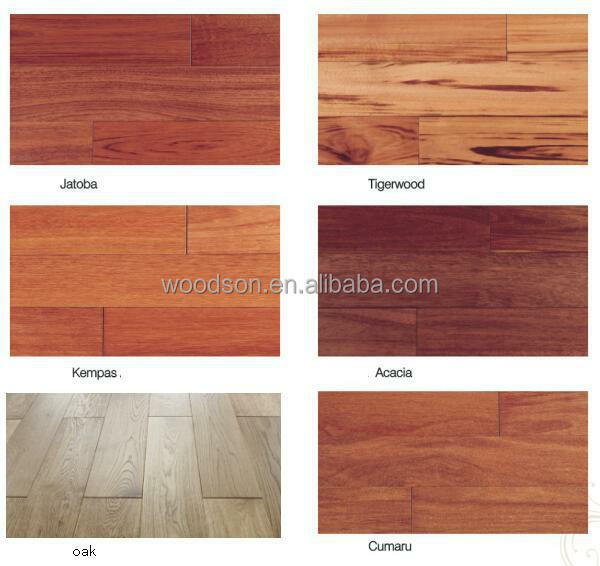 What's your best price for this wood flooring? A: We will quote you best price based on your order quantity. So pls advise the order quantity when you make n inquiry. 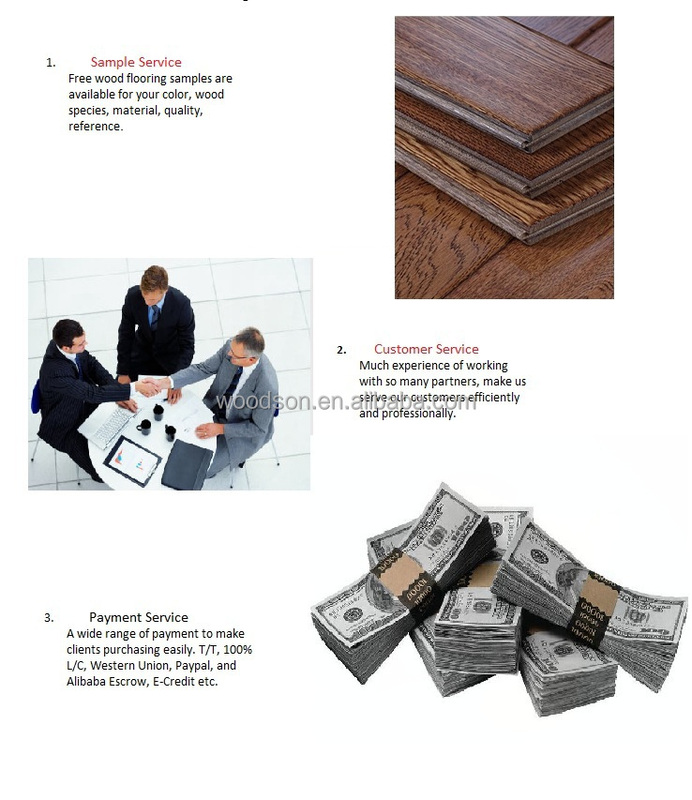 A: The delivery time is about 30 days after receiving your deposit payment. 4. Q: What's your packing? 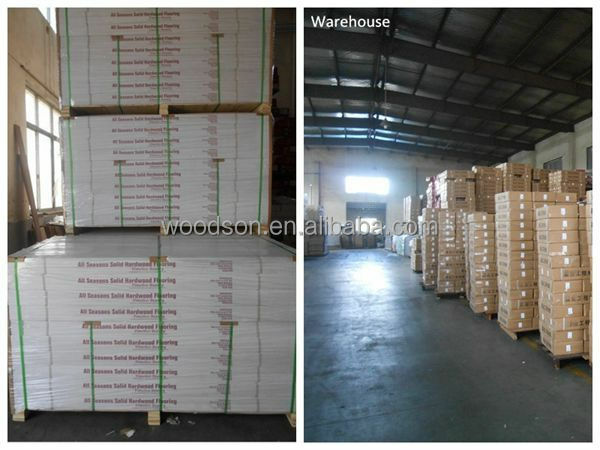 A: In general, 2-3 sqm per carton, and packaged with pallets. But we can also pack the goods as your requirement. So pls just provide your own expressing account (such as DHL, TNT, UPS etc.) for sample expressing freight collected. If you don’t have any, we’ll advise you to prepaid the money by Paypal, Western Union or T/T, then we send samples to you. The money can be refunded to you if you can place an order from us then. 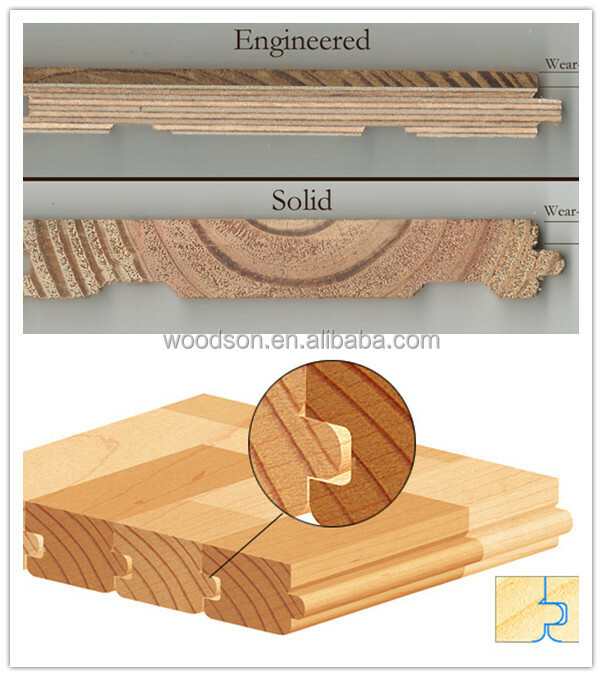 A: The warranty of solid wood flooring is 25 years, and 15-20 years for engineered wood flooring. 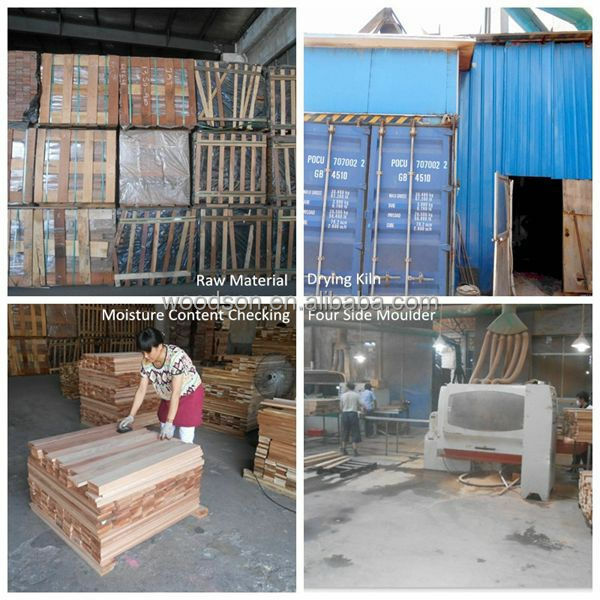 We have special quality control and also can provide the QC report to clients before shipment, we make sure all the goods sent out to customers are in good condition. A: It’s kind of you if you can pay by T/T (T/T payment Terms: 30%-50% deposit first, and the left against the B/L after shipping. We can also accepet the 100% irrevocable L/C at sight, West Union, Paypal payment etc.